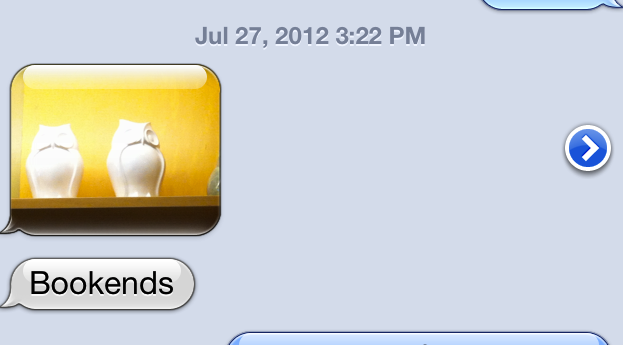 So, I mentioned I was at my sister’s house in Minneapolis for a while this summer. One day, while checking email, I got this post from Melissa at The Inspired Room. It made me laugh and I shared with my sister. If you haven’t seen this post, read it-so funny and cute! 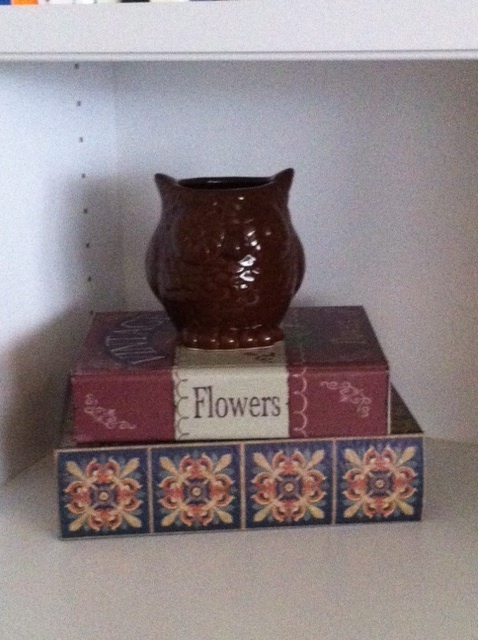 No kidding…a few hours later we were at Target in the dollar bin section and ran across none other than ceramic owls! We cracked up and my sister immediately picked one up. She chose the white, but there was brown and green also. I would have snatched one up for sure but I was flying with an already over-packed bag so there was no way for me to add a ceramic owl to my luggage. Owls are showing up everywhere now! 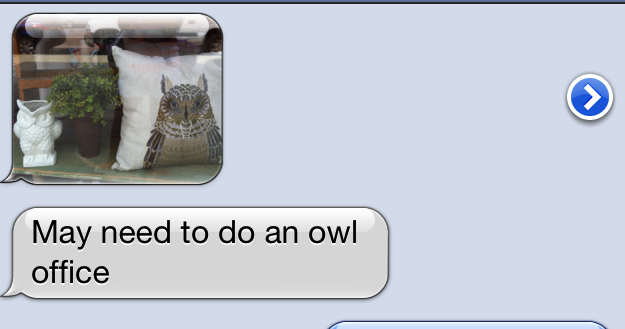 My sister is thinking of redoing her office and may incorporate owls into the design. In the meantime, I couldn’t resist checking out our Target dollar bin and I opted for this guy: (please excuse the phone photography–not great quality). Every time I look at him I smile! Who’d of thought an owl could do that?